To introduce students to the tools, techniques and methods normally employed in the management of retail companies. 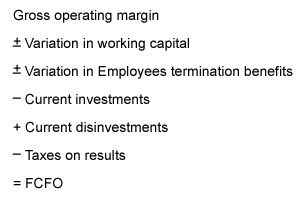 Management cycle and control methods. 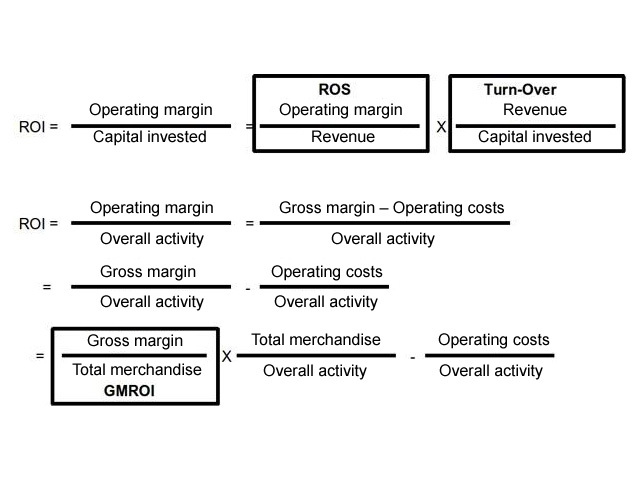 Efficiency measures: gross margin, operating margin, cash-flow (FCFO and FCFE), budget ratios (ROE, ROS, ROI, GMROI). 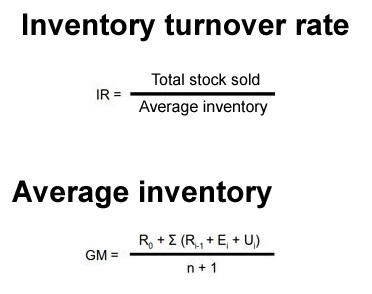 Liquidity analysis (liquidity index, acid test, immediate liquidity index). 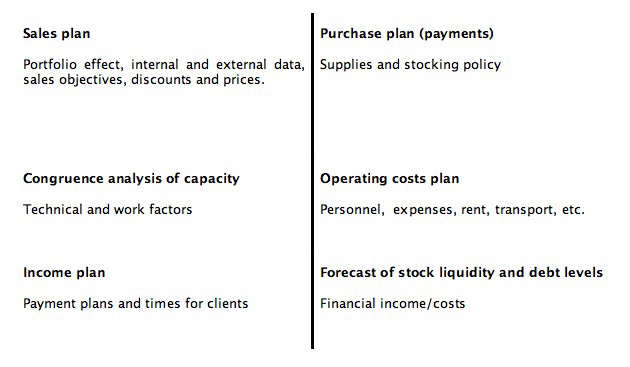 Traditional models of economic analysis. Focuses on feasibility and simulation tools (Business Plan, BEP analysis, Investiment assessment, techniques for analysing Catchment Area, Marketing Research etc.). 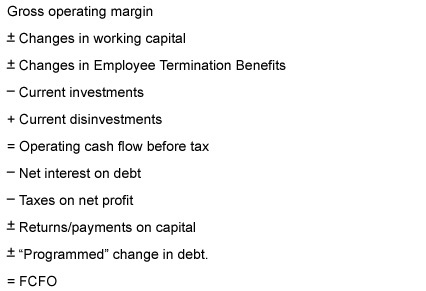 Budgetary control (standard objectives, results, deviation). 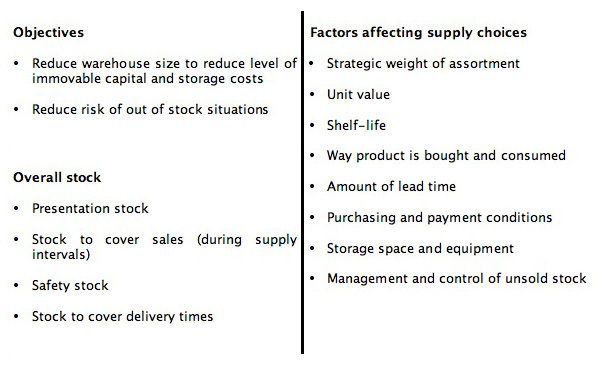 Evaluation of efficiency and effectiveness (ratios, performance indicators, customer satisfaction, quality control). Quantitative as well as qualitative. 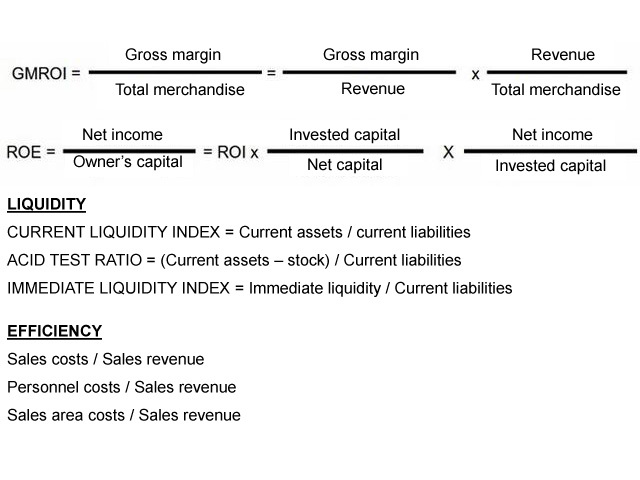 Financial (financial commitments, liquidity management, sources of coverage). Functional analysis, monitoring working operations (promotion, warehousing, sales, transport, etc.). Objective analysis, focusing on the specifics of monitoring costs (costs relating to personnel, financial expenses, etc.). Subjective analysis, regarding specific “segments” of the company that need to be controlled (individual products, categories, sales points, departments, etc.). 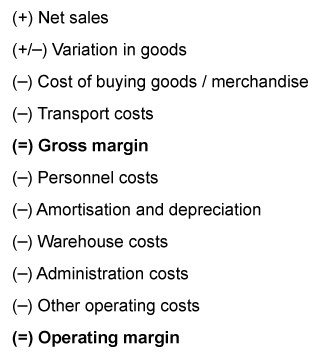 gross or operational margins compared to the surface area.